These beauties with their striking jet-black centers are a favorite flower among brides, wedding planners and floral designers. They are excellent fresh cut flowers for centerpieces and bouquets, and they add a gorgeous pop of color to greenery arrangements. Anemones flowers also work wonderfully by themselves or paired with other blooms, and look beautiful in a vase to brighten up your home for the spring. Native to parts of Asia, these large, focal blossoms sit on long stems swaying above dark green, maple-like leaves. The anemone petals are small and round and most blooms have between five and six petals which are thin and papery like those of a poppy. They come in a variety of colors but crisp white is the most popular one, as well as bright red, pink, magenta, purple, and blue. There are other white anemone varieties with green as well as yellow centers. These delicate flowers typically have a vase Life of 4-8 days, but it can be extended a bit with proper care and keeping them away from direct sunlight. Need help choosing the right blooms for your event or celebration? At Flower Explosion we offer wholesale anemone flowers in multiple hues, and we can always customize your order by email or on the phone, to ensure that you get exactly what you had in mind! Grown in the Andes foothills and enjoying 350-plus days of sunshine, our flower quality is superior and, with no middleman to bump up the cost, our prices are surprisingly reasonable—We don’t offer cheap flower, just good prices. 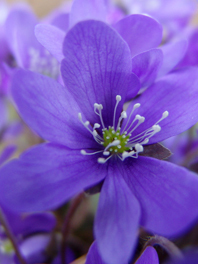 Buy your bulk anemone flowers today and enjoy FREE shipping!